KINGSTON, JAMAICA – July 18, 2016 – Jamaica congratulates the three luxury hotels ranked among the best in the world in Travel + Leisure's World's Best Awards 2016. 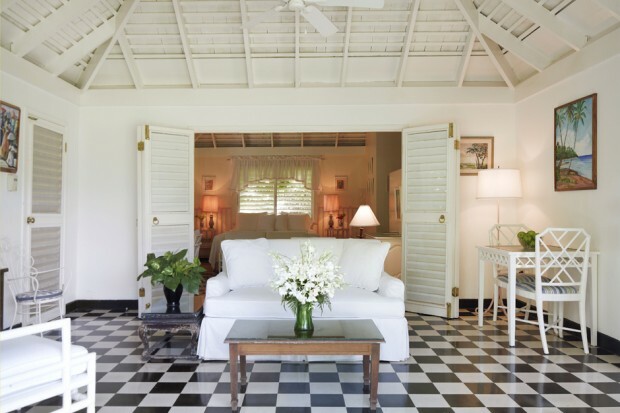 Chosen by Travel + Leisurereaders, the Jamaican properties made the top of the "Best Resort Hotels in the Caribbean, Bermuda, and the Bahamas" category: Round Hill Hotel & Villas in Montego Bay at number five, GoldenEye in Oracabessa at number eight and Jamaica Inn in Ocho Rios at number nine. Jamaica's Minister of Tourism, Hon. Edmund Bartlett, and Director of Tourism, Paul Pennicook, are delighted with the selection of hotels chosen by Travel + Leisure's readers. "Heartfelt congratulations to our valued resort partners who have achieved top rankings on the Travel + Leisure World's Best list for 2016," noted Minister Bartlett. "This recognition provides proof of Jamaica's stellar hospitality and guest experience, distinguishing ourselves among global players in the industry," he added. "Jamaica has long been a sanctuary for travelers seeking a luxurious getaway. We are thrilled that three of our luxury hotels were selected by Travel + Leisure readers as part of this year's World Best Awards list," said Paul Pennicook, Jamaica's Director of Tourism. "This is a testament to Jamaica's luxury tourism product which has shown significant growth over the past few years." Every year, Travel + Leisure asks its readers to weigh in on travel experiences around the globe, sharing their opinions on the top hotels, resorts, cities, islands, cruise lines, spas, airlines, and more. Readers rated hotels on their rooms and facilities, location, service, food and drink, and overall value. For information on traveling to Jamaica, go to www.visitjamaica.com. Cruise Port; Sangster International Airport was voted the Caribbean's Leading Airport; Club Mobay was named the Caribbean's Leading Airport Lounge; Dolphin Cove was voted the Caribbean's Leading Adventure Tourist Attraction; the Montego Bay Convention Center was named the Caribbean's Leading Meeting & Conventions Center; and GO! Jamaica Travel was named the Caribbean's Leading Tour Operator. For details on upcoming special events, attractions and accommodations in Jamaica go to the JTB's Web site at www.visitjamaica.com or call the Jamaica Tourist Board at 1-800-JAMAICA (1-800-526-2422). Follow the JTB on Facebook at http://www.facebook.com/visitjamaica, on Twitter at www.twitter.com/visitjamaicanow, on Instagram at www.instagram.com/visitjamaica, on Pinterest at www.pinterest.com/myjamaica, or on YouTube at www.youtube.com/myjamaicajtb. View the JTB blog at www.islandbuzzjamaica.com.